OSHA estimates the new silica standard will save about 600 lives and prevent about 900 new cases of silicosis each year. Although the OSHA standard is intended to limit silica exposure at the occupational level, that doesn’t mean DIY’ers and homeowners shouldn’t protect themselves to limit their own silica exposure on projects. Just because you’re inhaling silica at home vs on the job doesn’t make you immune. In fact, it’s probably time to start thinking about protecting your lungs with the same diligence (hopefully) that you use in protecting your vision and hearing. It turns out seeing, hearing AND breathing are all pretty important – especially if you like to continue building stuff! One of the key strategies behind the OSHA Silica Standard is to control the silica before it gets into the environment through what OSHA likes to call engineering controls (such as water or proper ventilation). This makes a lot of sense, especially when you think about the example at the start of this article where a worker creates a giant dust plume. Even if he or she is wearing a mask, chances are those on and around the jobsite around them are not. 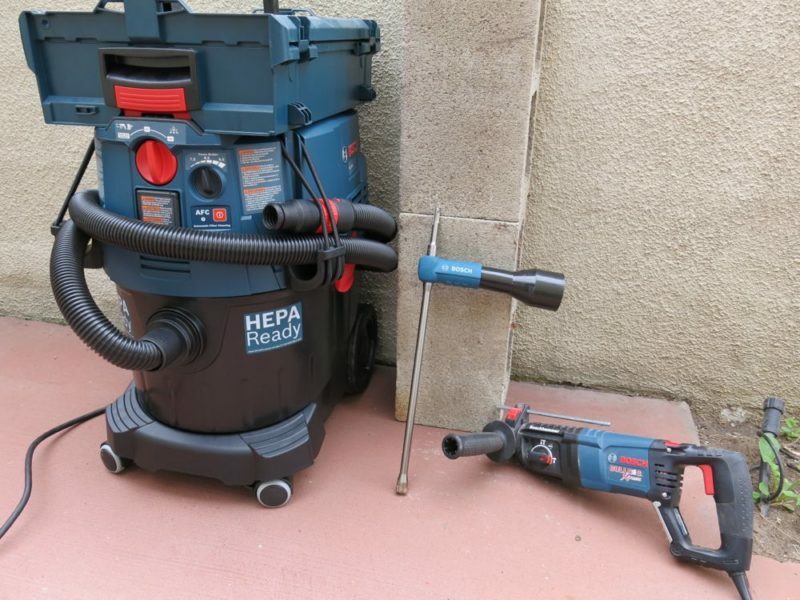 Compliance for the OSHA Silica Standard range from simply using an approved dust collection system like the Bosch VAC090A with HEPA filter combined with appropriate dust extraction accessories, to wearing an approved respirator. Some tasks require both dust extraction components and a respirator (particularly indoor usage), but many tasks can be OSHA-compliant without a respirator assuming you’re using what’s needed to control the silica at its source. 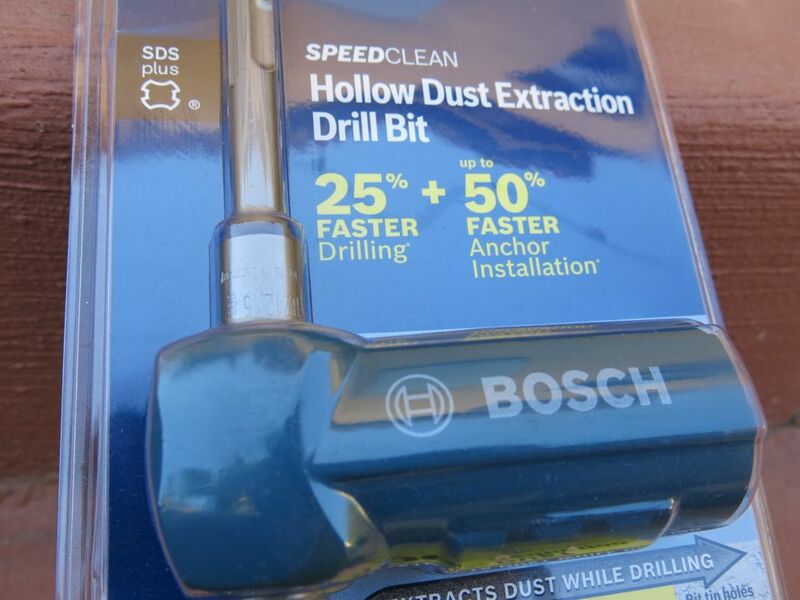 Bosch Speed Clean Dust Extraction Bits are an example of the clever engineering that goes into capturing much of the silica before anyone has the misfortune of inhaling it. We were first wowed by this innovation when we demo’d them at the 2014 World of Concrete. 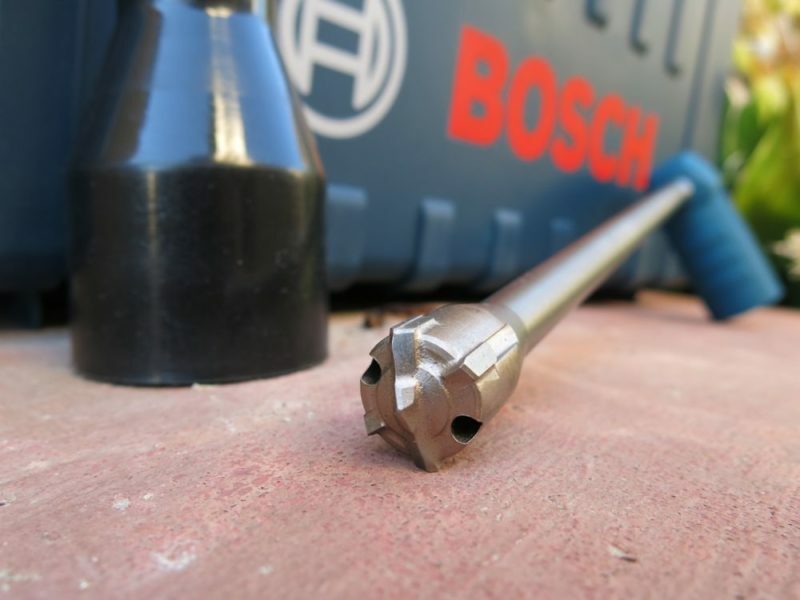 Bosch sent us a Speed Clean Drill Bit and some gear to test it out with and we found it does a remarkable job minimizing dust in an otherwise dust-filled operation. As you can see in the video above, the Bosch Speed Clean Drill Bits don’t extract everything. Particularly if you’re drilling overhead or horizontally (as in the video), some dust does escape as the bit initially starts removing material. Dust shrouds specifically for drilling can do a better job at capturing that initial start-up dust. 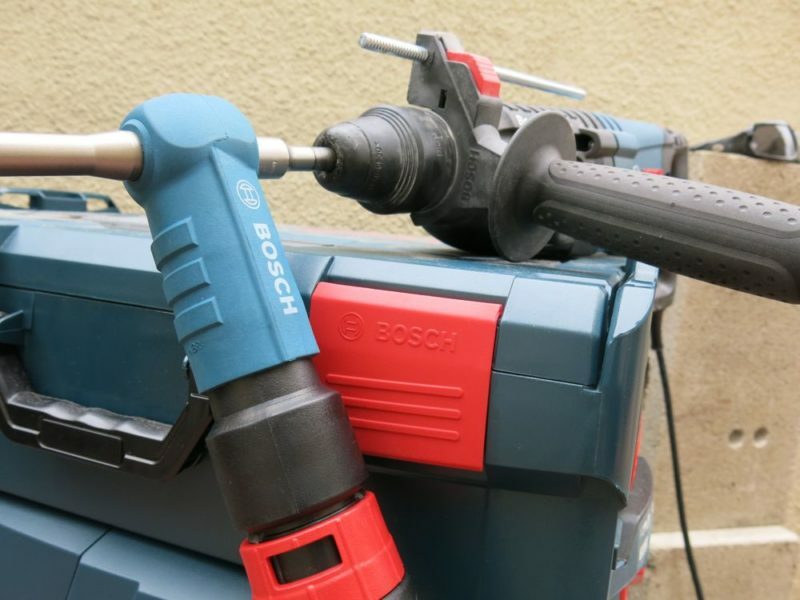 However, once your hole is started, it’s hard to beat the dust extraction of the Bosch Speed Clean Drill Bits. Often these types of holes are filled with a fastener and epoxy. Without the Speed Clean Drill Bit, even if you’re using a universal dust extraction shroud, you would typically see workers blowing out the freshly bored holes with compressed air. They would also be withdrawing and reinserting the drill bit to help with material extraction. 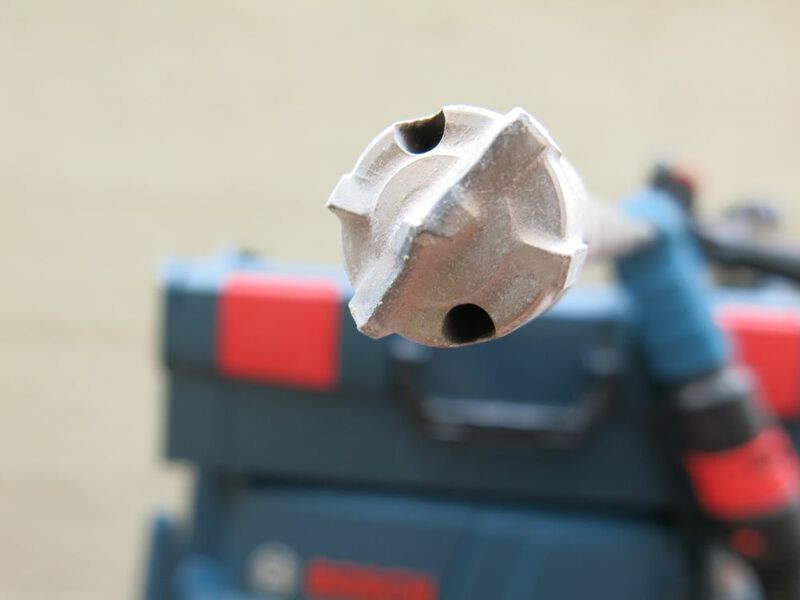 The Bosch Speed Clean Drill bit not only makes drilling faster (up to 50% faster anchor installation according to Bosch), but it also makes it a far less messy and hazardous process, especially when you compare it to blowing out each hole with compressed air. We have used the Bosch Speed Clean Bits on multiple occasions and are always impressed with how effectively and efficiently they progress through concrete. Once you penetrate the surface of the hole with one, about the only “dust” you’ll see is sand-like grains of aggregate getting kicked loose. Those grains tend to drop to the ground rather than linger in the air, making drilling with Bosch Speed Clean bits a relatively tidy affair. If you’re familiar with SDS tools, you’ll know that they come in two varieties: SDS Plus and SDS Max. The original bits in this category were simply “SDS”, which were later improved upon with SDS Plus. SDS Max, as you might guess, is a larger, heavier-duty version of SDS Plus. For SDS Plus, the Bosch Speed Clean Drill Bits currently range in size from 7/16″ to 3/4″ in diameter, with a usable length of roughly 7″ to 12″. The SDS Max Speed Clean Drill Bits range from 3/4″ to 1 3/8″ in diameter, with a usable length of roughly 12″ to 25″. Regardless of what system you’re using, these bits each come with a pre-installed adapter enabling you to connect to your vacuum. 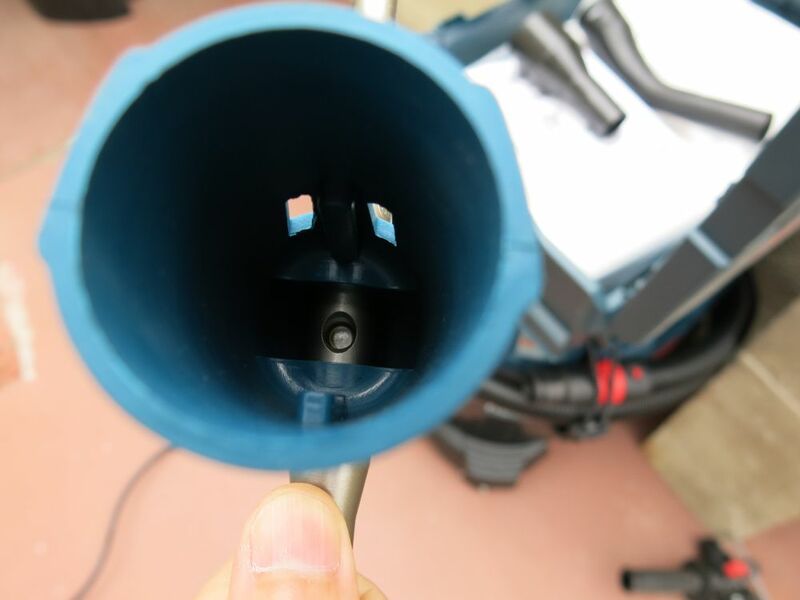 If you peek into the adapter, you’ll see a dust extraction port which pulls the dust from the entry ports at the tip. When it comes to concrete, mortar, sand, rock, masonry and even some paints, whether you cut, grind, drill, jackhammer, crush or sandblast, it’s a great time to equip yourself with the gear needed to limit your exposure to silica. 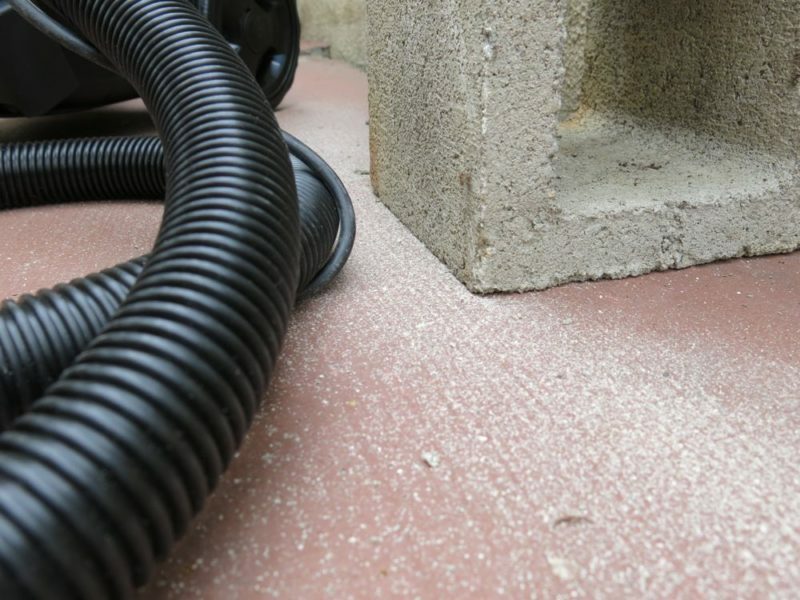 That holds true whether you are doing these tasks as part of your job (getting OSHA Silica Standard compliant in the process), or you are doing them as you remodel your own home. You can find the Bosch SDS Plus Speed Clean Drill Bits along with numerous other accessories to make your lungs and OSHA happier at The Home Depot.